After everything she’s seen, Natividad was sure Ezekiel could take care of himself. Under any circumstances. Against any enemy. Whether he was temporarily exiled from Dimilioc or not. Then the link between them, forged when she absorbed a trace of Ezekiel’s shadow, makes it clear she was wrong. She knows Ezekiel isn’t dead. She knows he must have met an enemy he couldn’t defeat alone. And she knows she has to rescue him, no matter the cost. 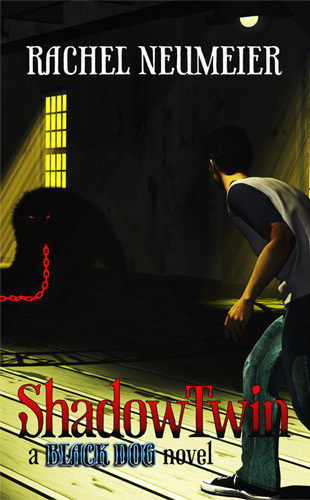 Miguel’s brother is a black dog and his sister is Pure, but Miguel himself is only human. That has its downsides for anyone living among the Dimilioc wolves, but at least an ordinary human has a chance to think problems through, his mind unclouded by black dog rage.